This Autumn, Mammut has been busy attending ISSW as well as many of the regional snow and avalanche workshops which are becoming very popular in the western United States. 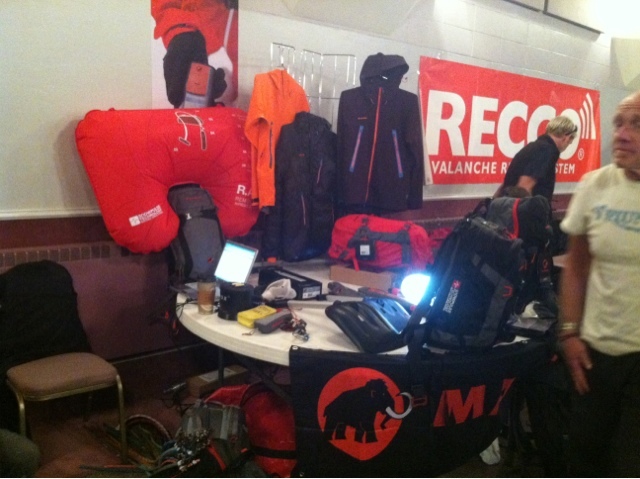 On October 13th, Mammut joined the community of Whitefish Montana to celebrate the second annual Northern Rockies Snow and Avalanche Workshop. Over 250 people attended. Some of the notable speakers included Karl Birkeland and Dale Atkins. Elyse Saugstad, who credits an airbag with her survival in an avalanche at Stevens Pass last year, also spoke. On October 19, the Colorado Avalanche Information Center held the Colorado Snow and Avalanche Workshop (CSAW.) CSAW is always a very successful event and is an excellent opportunity to visit with the professional avalanche community before winter begins in earnest.